esta imagen me llena de energia la chica luce muy feliz. Gracias. Thanks for sharing. 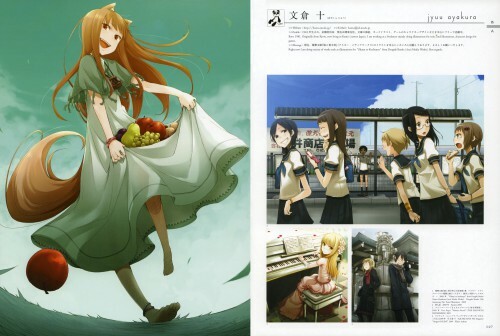 A scan of Horo is always welcome. i love spice and wolf! many thanks for scan and sharing.?????????? que buena imagen ... gracias por el aporte!